It also said, inter alia, that Nigeria is suffering from “ethnic, religious and regional violence”. This is the bitter truth and the report is a welcome development. Ethnic cleansing, genocide, mass murder, state-sponsored terror, unprecedented corruption, monumental incompetence, the persecution of opposition figures and their families, the violation of court orders, the intimidation of the National Assembly, the Judiciary and the Fourth Estate of the realm which is the media, the targetting and cold-blooded murder of Christians, Igbo (IPOB) youths and Shiite Muslims, the gradual and incremental Islamisation of the nation, the humiliation of the Church and Christian clerics, the covert support for and encouragement of murderous Islamist and jihadist terror groups like the Fulani herdsmen and Boko Haram and so on and so forth are now the cornerstone and hallmark of President Buhari’s government. Worse of all he did not have the National Assembly’s approval to withdraw $496 million from the Federal Governments Excess Crude Account which he used to pay for the 12 Super Tucano jets that he purchased from the United States and that are to be supplied to the Nigerian Air Force by 2020. Even more troubling is the fact that as long as Buhari is in power, those jets are as likely to be used against innocent and defenceless Nigerian civilians, including women and children, as they are against terrorists. I sincerely hope that these issues will form part of the deliberations and discussions that will take place in the meeting between President Donald Trump and President Buhari in Washington on April 30. I am not referring to major or cataclysmic events which also had the imprint and involved the input of numerous foreign and domestic intelligence and security agencies like the murder of General Aguiyi-Ironsi in 1966 and the coming to power of Lieutenant Colonel (as he then was) Jack Yakubu Gowon or the murder of General Murtala Muhammed in 1976 and the coming to power of General Olusegun Obasanjo or again the murder of General Sani Abacha and Chief MKO Abiola in 1998, which led to the release from prison and the second coming to power of President Olusegun Obasanjo. Those are the obvious ones. Fourth was the slaughter of Kudirat Abiola, Chief MKO Abiola’s wife, Chief Alfred Rewane, Rear Admiral Omotenhiwa and hundreds of other pro-June 12 and NADECO leaders and operatives by General Sani Abacha’s military junta between 1995 and 1998. Fifth was the mysterious “plane crash” in Kano in 1996 in which Ibrahim Abacha, the first son of General Sani Abacha, together with his close friends, Bello Dangote, Omieba Princewill and a number of others, lost their lives. The fact is that most of those that died were killed after the plane had crashed at the crash site by unknown elements and there appears to have been a struggle on the private jet before it came down. Sixth was the murder of numerous high profile leaders and political figures during the tenure of President Olusegun Obasanjo between 2000 and 2007, including Chief Bola Ige, Chief Marshall Harry and Chief Dikibo. Seventh was the bombing of Odi town in Rivers State by the military during the course of President Olusegun Obasanjo’s government in 1999, in which hundreds of civilians were murdered. Eighth was the massacre of dozens of people in Zaki Biam in Benue State by the military during the course of President Olusegun Obasanjo’s government in 2001. I have said it before and I will say it again: I became Minister of Aviation one year after that crash and I had access to all the relevant security reports and American NTSB documents. According to that NTSB report, the plane did not crash but was brought down by what was described as “a low-level incendiary device” which had been planted on the plane before it took off by unknown elements. Eleventh was the blowing up of a building in Prophet TB Joshua’s SCOAN Church in Lagos by remote control detonation from a drone as a consequence of which over 200 people, including many foreigners, were killed in 2013. Though the whole event was recorded on CCTV, including the drone and the detonation, this was largely ignored by the authorities and no meaningful criminal investigation into what was clearly an act of terror took place. The Lagos State Attorney General, as naive as ever, has no idea that he is being used, that he is on a wild goose chase, that he is helping to shield and protect the real perpetrators of the crime and that he seeks to destroy the legacy and name of an innocent man and Church. 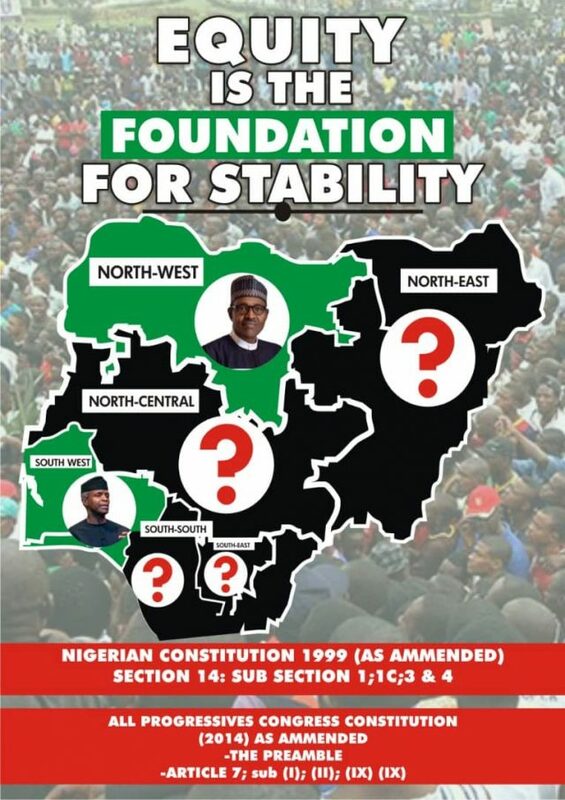 Sixteenth is the covert support that Buhari himself and key players in his political party and administration have given Boko Haram over the last six years by funding their operations, openly identifying with some of their core values and ideals and seeking to protect them from the proscription. In terms of special ops and secrecy, Dapchi falls into this category of events. And the fact that Leah Sharibu, the only Christian amongst the over 100 “abducted” girls, was the only one that was not released, speaks volumes. The message is simple and clear. These complex covert operations are commonly referred to in intelligence circles as “black ops”, “extreme measures” and “wet work” and they are always done in the utmost secrecy and with the full knowledge and sometimes assistance and logistical support of either one or two other friendly and trusted foreign intelligence agencies. Now that President Buhari has formally declared his intention to run in the 2019 election and seeks a fresh mandate, I fear that what is coming our way is not just an election but a series of cataclysmic events that will change our lives and our country forever. Sadly the Nigerian people have been hoodwinked and appear to be incapable of putting the jigsaw together, asking the relevant questions and demanding the appropriate answers.